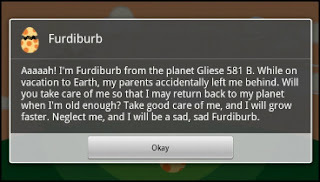 My Nerdy Mom: You downloaded Furdiburb, now what? You downloaded Furdiburb, now what? Hello and welcome to what I'm going to temporarily call The Weekend Walkthrough! See, I don't really know if they'll all be reviews, walkthroughs or whatever, so if you have any good ideas for what I should call this segment, please be my guest and leave me a message. 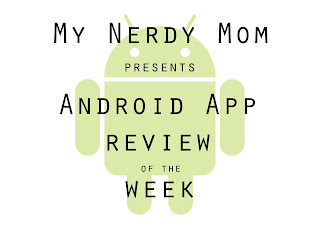 However, it will go something like this: Every weekend, I'm going to pick an app to review. I'll put up pictures, comments, sometimes hints and walkthrough information. (It all depends on how much I like the game, as to how in depth I want to take our weekend) Some weekends might just be disappointing "Don't Download This!" 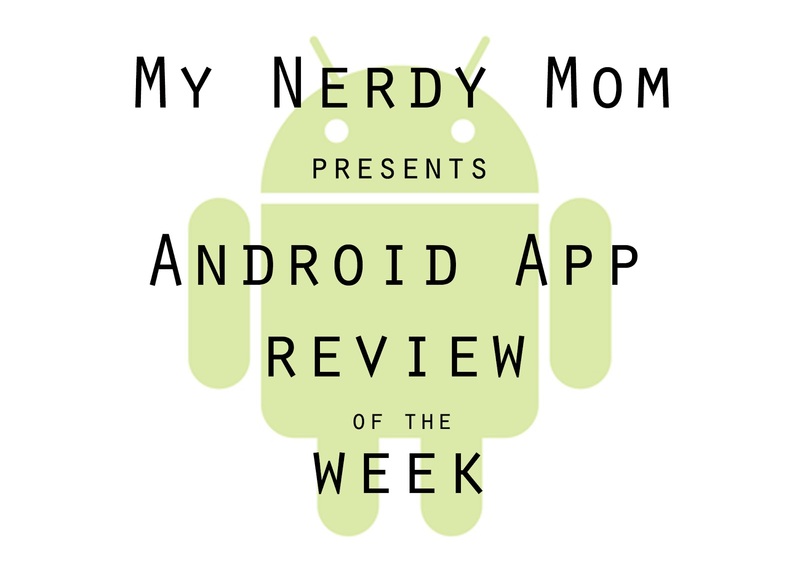 reviews, but that's the goal, is to give you a real persons take on some of the best (and worst) android apps available. Now this week, I've already been talking about Furdiburb. It's a great game. I love it, my daughter (5 years old) loves it too. I've put together a basic guide to caring for your furdiburb here for you today. I love this game so much that you'll probably see it in future posts as well! Congratulations! You are now the proud owner of a Furdiburb! 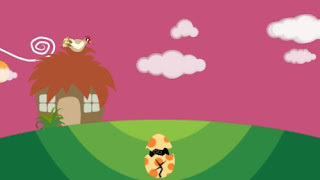 Your Furdiburb lands contained within his egg. It’s up to you to figure out how to get him out of it! Once he/she/it has hatched, then you need to make sure that you can feed and care for your furdi. When Furdi is hungry, he will look sad. In order to feed him, you need to water some sprouts! There are three sprouts on furdis home screen. Drag a cloud to one of the sprouts and water it, once the cloud floats away you will see something grow. Once your item grows, then you can pick it. If you touch it once, it will fall from the plant. If you drag it to Furdi, he will eat it, and if you press and hold on the item it will be taken to your inventory. You can access your inventory now by pressing and holding on Furdiburb. Drop items by clicking on the item you want, but each land can only hold a limited amount of items so if you can’t drop any more, you’ve reached your limit for that land! You can collect up to 99 of each of these items in your inventory, and you can use them to feed your furdiburb, make other things in the factory, to buy things or to earn you money. 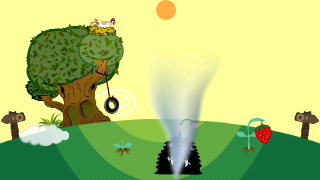 When your Furdiburb gets dirty, he starts to smell and have a funny cloud around him. If you don't clean him, he might get sick and he certainly won't be happy. Take him to the screen with his house on it, drag a cloud over the top of furdi's head and all the clouds will come to him and get him wet. Then, pick a piece of Aloe (the plant right next to furdi's house) and scrub him with it. You will see bubbles start to form and he will start to get cleaner. Scrub him this way until he is completely clean. Now the last step is also very important. You need to dry your furdi or he will get sick! 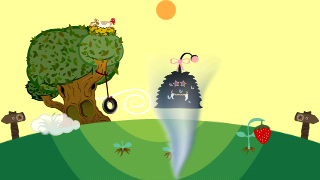 Grab one of the pieces of wind and hold it over furdi to call a tornado to dry him off! Furdi will poo at some point, you can long press on these to store them as well. Note: Furdiburb gets sick when he eats the poop! The Neapolitan poops can be used to buy things! The regular poops can be used in the factory or to feed plants on the farm! There is also seasonal poo that only shows up randomly during holiday months. Roses in his poo for valentines day. Shamrocks in his poo for St Patrick's day. When furdi gets sick, he is covered in bumps or colored all funny. You can buy potions from Tokori in the Boomy Woods that will make him feel better. 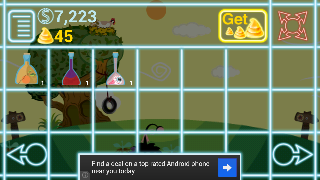 The trick is to match the potion to the color of the sick furdi! Furdiburb needs sleep too!! Put him to bed by dragging him to his hut, and he will go to sleep! You can wake him up by knocking on his hut three times. When he answers the door, you can remove him from the hut! You can also go into his hut, and change up the items that he has, either by creating them at the factory or buying them after you unlock some areas within the game. The plant in furdis hut is called a ginko. If it only has one leaf, its not because its sick, its because ginkos lose their leaves in the winter. To exit the hut long press the swirl on the bottom left of the screen. How do you change furdi's hut? New Hut designs become available once you unlock the screen with 4 pedestals. I'll be covering more parts of the game after the holidays!